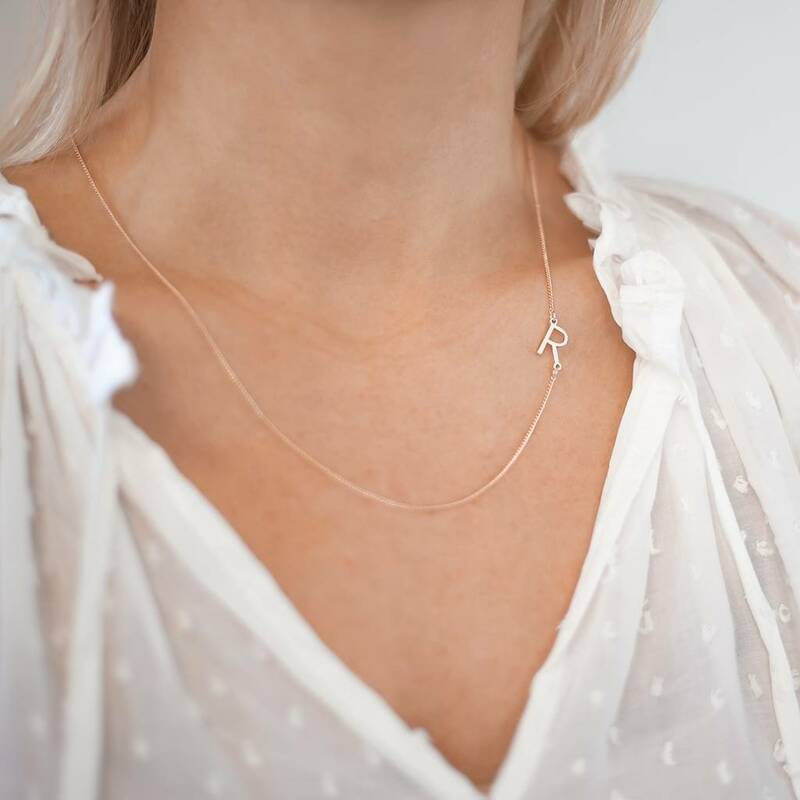 The Personalised Initial Letter Necklace features a beautiful fine chain necklace with an integrated letter of your choice in silver and rose gold. 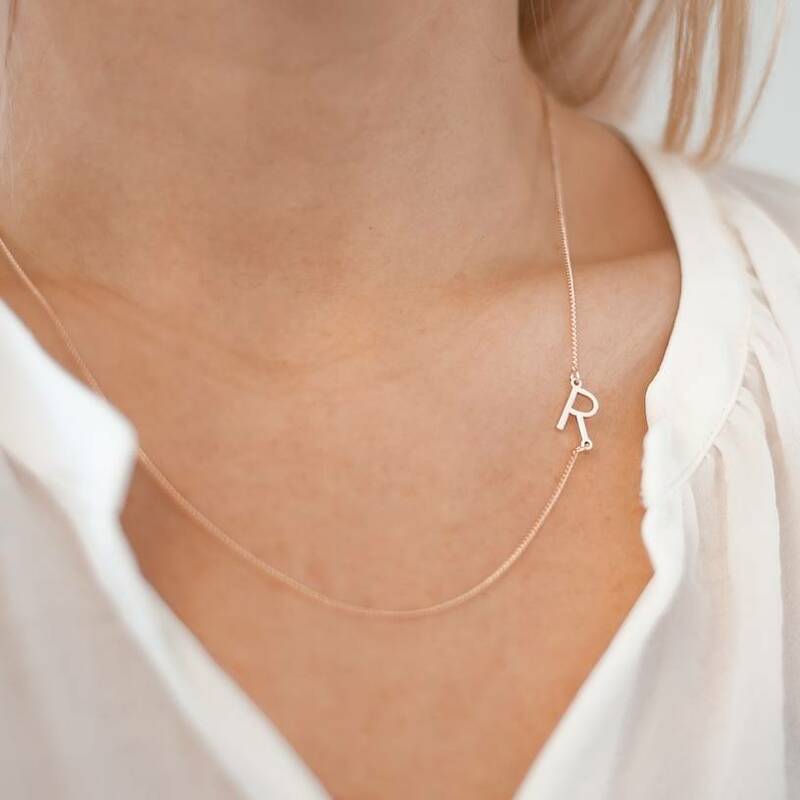 The Personalised Initial Letter Necklace is a unique initial necklace that features a rose gold or silver letter charm attached to a fine trace chain. The charm naturally sits off centre to create a unique modern look. 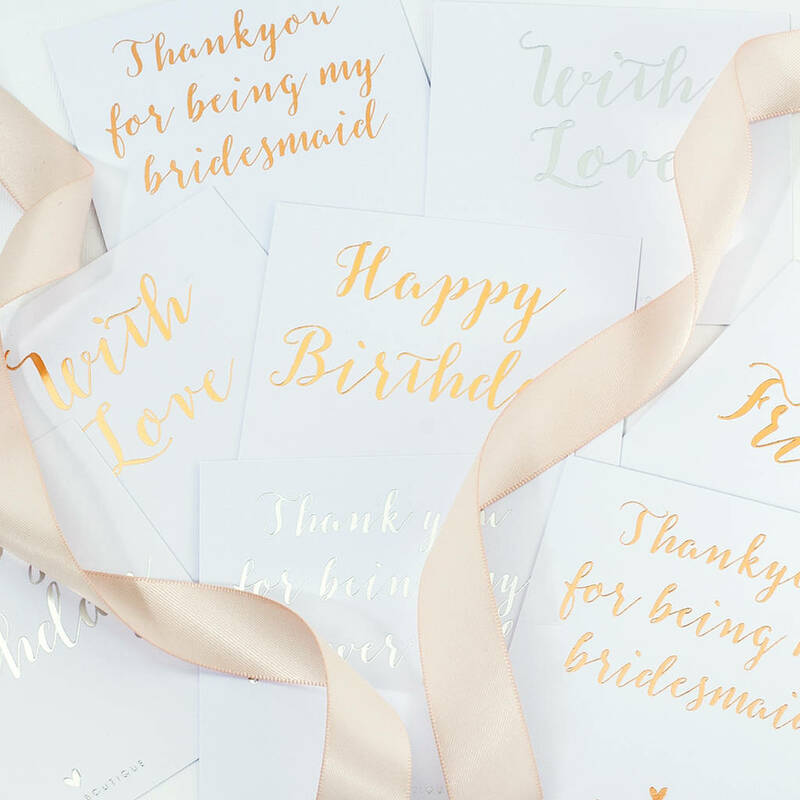 The perfect gift for a loved one or a little treat for yourself. Rose Gold or silver plated Necklace and letter charm.